We've got some lovely new patterns from Cotton & Cloud in the shop! Cotton & Cloud is designer Kyoko Nakayoshi. You can read more about her on her website. She says, "I strongly believe that the “knit-ability” of a pattern is as important as the finished design of the garment. 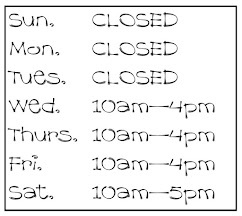 I try to incorporate this aspect into all of my knitting designs, which means that I spend a lot of time figuring out the logic behind a pattern. The majority of my patterns are seamless and worked in the round, using the magic-loop method. This is a reflection of my old habit of changing knitting patterns into seamless knitting to avoid sewing up at the end. Knitting does not have to start from bottom-up. I love creating original knitting patterns that are top-down or have different constructions and directions. 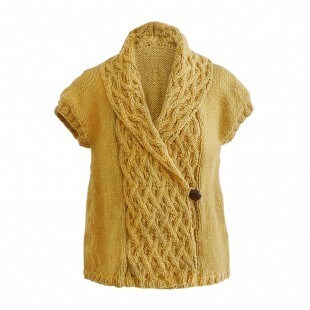 I always aim for originality in the knitting patterns I create." Did you catch that? NO SEWING UP! 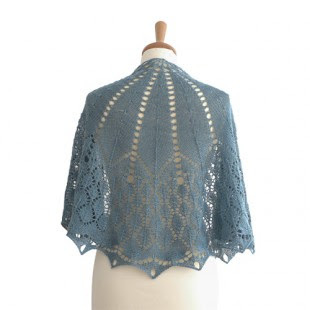 The raindrop shawl is particularly stunning, and like the Fallen Leaf Shawlette uses a 4ply weight. The Mermaid Bolero is perfect for little girls up to age 6 and uses only 3 or 4 balls of Jamieson's Spindrift... (gorgeous colour alert!). Harumi is perfect for our Jamieson's Heather and would be great for Spring. 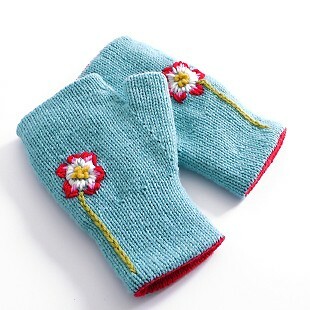 There is also a new beaded purse and gorgeous cabled gloves AND pretty reversible mittens! 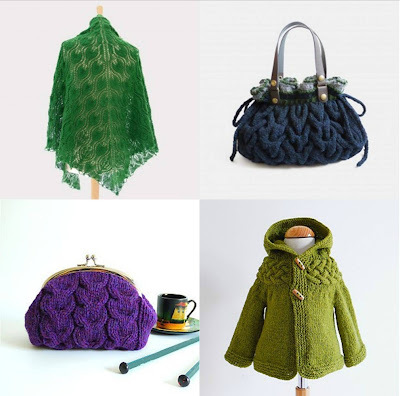 We've also got some past favourites back in stock, including the Fallen Leaf Shawl and Miranda Bag. 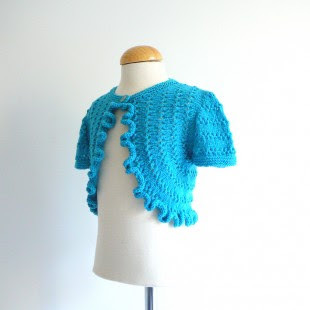 And watch out for Karen's Cable Yoked Baby Jacket in the shop on our new tiny dummy NEXT week. Karen has knitted the 12-24 months size but the pattern actually goes up to age 10 years.